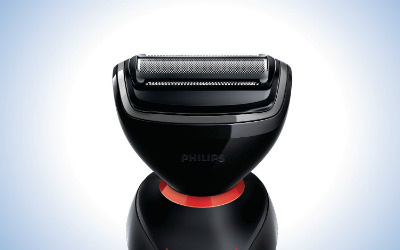 The Philips Norelco YS524/41 Click and Style Shaver stands out from the rest of the Philips line, with its cool black casing and red highlights. There are three different styles of heads with this shaver, so you can truly customize your shaving experience. You’ll be able to shave your facial hair, body groom your body hair and style your beard and mustache, all with one compact Norelco Click and Style Shaver. 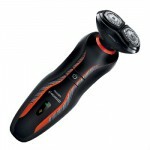 The pricing is also quite affordable, and you’ll save big, without having to purchase three different shaving devices. This shaver is gently sloped inwards, so that you can easily grasp it, even in the shower. It’s cordless and rechargeable. You may use it in the sink with running water, or in the shower. 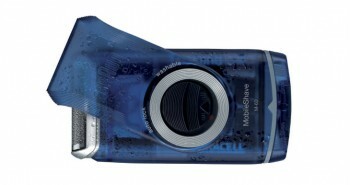 The Aquatec technology will keep your shaver’s inner mechanics free of water. You may use your shaver with soap, water, lotion, creams, and gels to your preference, to provide maximum skin comfort. Of course you can still use your shaver dry as well. Both methods work well in removing hair, from stubble, to the toughest thickest hairs from face and body. 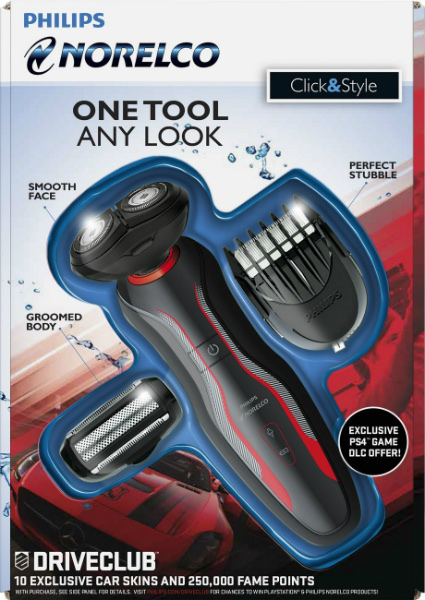 The Click and Shave has three different interchangeable heads. There is the rotary style head, one foil head body trimmer, and one beard and mustache trimmer. Each of these attachments easily clicks on and clicks off. Each of the shaving heads feature comfort cutting blades, that glide slowly and smoothly over the skin. 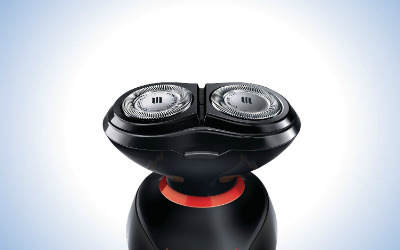 These shaver heads are all at fixed points, and they do not pivot or flex at all. Within the rotary head are two rotary heads that work together, to effectively follow all contours on your face. The styler attachment will allow you to create a five o’clock shadow look, without trying. You may also groom around your mustache to remove stray hairs, or trim your beard to desired length. 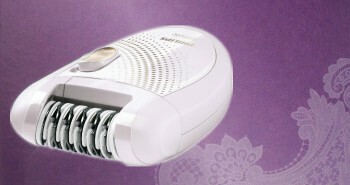 The body groomer attachment allows you to shave under arms and body hair, for maximum comfort. The groomer also has rounded combs and tips to prevent skin irritation, particularly on sensitive regions of the body. Keep your body smooth and clean for outdoor sports activities, swimming, and more. You may wish to experiment between the shaving heads to find the best one to shave your armpits or your legs, depending on hair thickness, and comfort. 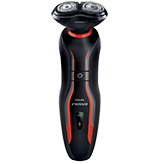 This shaver features Comfortcut blades that glide gently over the skin, providing a clean, close shave. Both the body trimmer and the styler allow for a close shave below the neck, just like the rotary style shaver does for the face. These are stay-sharp blades, so that they won’t get dull easily. They are made of finely ground Chromium steel, for maximum hardness. The trimmers on the blades are skin-friendly, and even though you can’t see them, they have gently rounded tips. These comfort blades avoid the nicks and cuts that can happen with a regular razor blade. You have five different length settings to choose from, for the trimmer. You can shave short stubble around a mustache, or shave off the longest hairs from a beard. 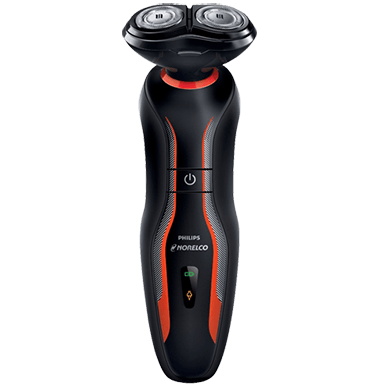 The Philips Norelco shaver is affordably priced, and is perfect for a man who is budget-conscious, but still wants to buy a shaver in the trusted Philips brand. There is a battery indicator on the front of the shaver so you know how much charge is left, or whether you need to charge it up immediately. One full charge of your shaver will last you for up to forty minutes of shaving, which is more than one week’s time for most men. It takes one hour to charge it up fully. There is also an option to do a quick five minute charge, in case you forgot to plug it in the morning before, and it’s run down. This charge will enable you to do your morning shave, but make sure you plug it in to charge up fully for the next day. The shaver will not work with the cord plugged in—you must remove the cord before using. It’s not like your old-style electric shavers that you plugged directly into the wall. The shaver weighs 15.7 ounces. Besides cleaning, there is no maintenance required, and no need for regular oiling. It’s recommended to clean your Philips Norelco after each usage. Simply rinse under the tap, shake out, and dry with a towel. 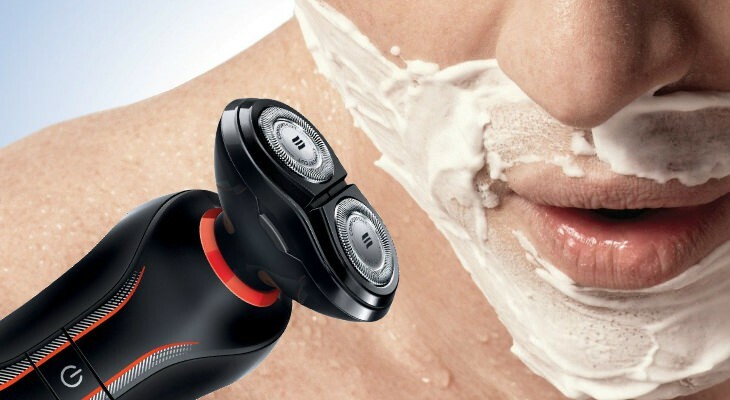 It’s more important to rinse it out after using shaving gels, creams, foams, or soap, as this can build up and interfere with the mechanics of your shaver over time. You may wish to store the two unused shaving heads in a padded pouch, and keep in the bathroom drawer or cabinet. When traveling, store the entire tool kit in a travel bag to keep the heads from being damaged in transit. Like with other cordless shavers, it’s recommended that you replace the shaving head every twelve months to eighteen months, to continue having the best shaving experience possible. There is a ninety day warranty on the shaver in Canada and the US. You can bring your Philips Norelco YS524 with you on any trip, as it has dual voltage—120V to 240V. You’ll still need adaptor plugs, but these can be purchased from anywhere. You can also pre-charge your shaver before traveling, and have enough juice to last you for one week or more. 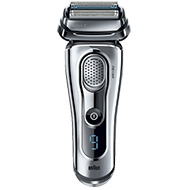 The Philips Norelco YS524/41 Click and Style Shaver is a three tools-in-one men’s personal care grooming kit. This complete toolkit gives you the ability to master all your needs in one. 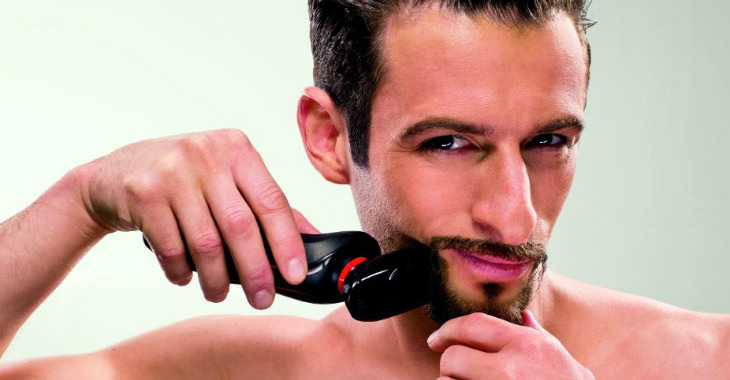 Shave, style, and groom your body, at sink, shower, or public washroom. It’s as simple as clicking on or off. The functionality of this kit is further enhanced by being waterproof, and easily used in the shower. 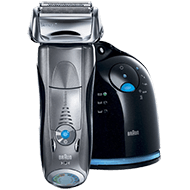 If you’re a man who is meticulous about grooming his entire body, the Philips Click and Shave is affordably priced to handle all your grooming needs. 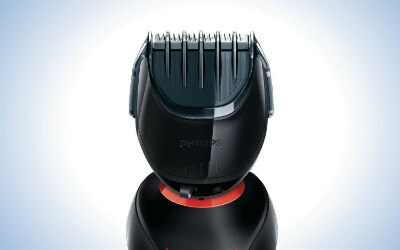 I was looking exactly for a tool like this Philips Norelco Click and Style shaver. It has all what I need. Mostly I use the rotary head to shave in the morning, but few times per month it’s time to groom my body and this shaver does it best. Great article, thumbs up!